1. You would have to be a complete idiot to spend money on this site. 2. I am a complete idiot for not thinking of it first. How Swoopo works is deceptively simple. They auction off desirable items such as notebook computers and big flat screen TVs. But the auctions have some very special rules. It costs $0.75 to place a bid. Bids can only top previous bids by a certain small amount, usually $0.15 but in some cases only $0.01. There is no fixed end time for the auction. It continues until nobody has bid for 20 seconds. This is an amusingly profitable deal for Swoopo. Although they wind up selling the merchandise for much less than it is worth, the bidding fees collected swamp the small loss involved. For example, yesterday morning the bidding on a Sony Playstation 3 worth (Swoopo tells us) $399.99 sold for $126.60. That’s a nominal loss of $273.39 from retail. But to get to $126.60 in $0.15 increments took 844 bids, representing $633 in revenue to Swoopo. Brilliant. To fully understand what is going on here, forget that it is a modified auction. Swoopo is operating a sort of raffle. The prize, the right to buy some goodie at a discount, is awarded to the holder of the last ticket sold. And tickets will continue to be sold until nobody wants to buy one. Get it now? The Swoopo auction is really an improved version of an old concept from the game theory field of economics called a dollar auction. 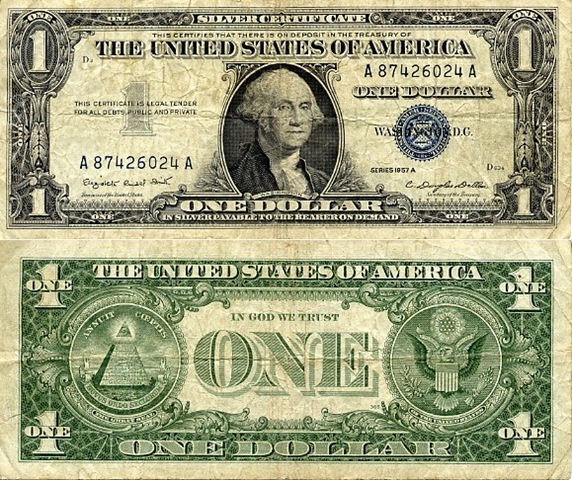 The way that one goes is that a professor offers up a dollar bill for auction to his class using some special rules. The winner will pay his bid and get the dollar, but the person who came in second will also pay his highest bid and get nothing. The way it is supposed to work (I’ve only read about it) is that the professor starts the bidding at a nickel. That’s a pretty good deal, so several students start bidding and drive the price up to around $0.50. There are some smirks as the class realizes that the crazy professor will now make a profit. Fewer students are now bidding, but the price continues to climb. Then somebody bids a dollar for the dollar. There is a pause, punctuated by giggles from the observing students. The poor guy whose bid of $0.95 was just topped thinks about it for a moment and then bids $1.05, reasoning that the $0.05 loss if he wins is a lot better than the $0.95 loss if he lets the other guy win. Laughter is now heard from the class. The guy who bid a dollar then makes the same calculation and bids $1.10. These two continue at it, much the amusement of the rest of the class, until the professor calls the whole thing off at $10. 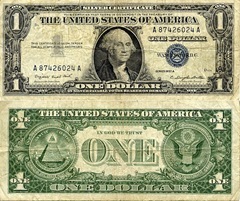 The dollar auction dates to a paper published in 1971. (It was a popular explanation for the difficulty of extracting the US from the war in Vietnam.) It works because from the point of view of the last two bidders their previous bid is a sunk cost. They will pay it win or lose. So it makes sense, in a short-sighted way, to make an incrementally higher bid in the hopes of winning because that increment is smaller than the prize at stake. Swoopo has cleverly modified the dollar auction so that more than two people will bid at the end and so that the psychology is better. But the basic dynamic, encouraging fools to make the comparison between a tiny incremental cost and a big potential gain is still there. Like I said, I wish I had thought of it first. And I wish I had thought of it first only partially because I could have made a lot of money. I also think it is really funny. It’s as much a prank as it is a business plan. It’s like a sort of commercial performance art in which it is demonstrated just how dumb we really are. Gotta love it. Swoopo has been around for a little while now, having been founded in Germany in 2005 and arriving on these shores in 2008. There are now people who sell strategy guides on how to win. And there are copy cat sites, e.g. GoBid.com. You can even easily get the code to start your own site if you’re feeling lucky, but I think that ship has sailed. And Swoopo has been discussed in the media and several personal finance blogs. The New York Times’ Freakonomics blogger Ian Ayres correctly likened Swoopo to a dollar auction, but his analysis would have been more convincing if he had bothered to learn how Swoopo actually works. Mighty Bargain Hunter cut to the chase with an excellent post in May, Stay far, far, far away from Swoopo. Earlier this month Cash Money Life asked Swoopo – Legitimate Auction Deals or a Scam? and wound up leaning to the scam side. Wise Bread ran a post in April with nearly the same title, Swoopo – great auction deals or great scam? and also came out closer to scam than not. But then Bargain Babe just last week posted Entertainment Shopping: Penny Auctions in which the Babe almost convinces me she’s not in on the joke, saying at the end that she may try the site because the bargains are just so compelling. And she links to The Silicon Valley Mercury News, which ran what is essentially a puff piece for Swoopo touting what a great business model they have. Swoopo presents a bad deal for the customer and may arguably be illegal (on-line gambling?) but it is not a scam. They are very clear on the terms of their auctions and honest about the fact they make their money on the bid fees. As far as anybody can tell, everything is as it appears. Which just makes the whole thing that much more amusing. Amusing indeed. Thanks for sharing… hadn’t seen it before. OK, this is fascinating and you posted it on a day when I actually have to work (there’s some sort of game theory involved in that too, I suppose). I want to go bid on something. I sometimes buy lottery tickets too. I refuse to remain totally rational with my money. @Adam: I don’t think it’s evil. Not only because they are upfront, but also because if they were too expensive, no one would play. Don’t you think most people look at this as a sort of game? Wow. I somehow hadn’t heard of Swoopo yet. What a masterful exploitation of human psychology. But…in a kind of fun way. Where nobody gets deceived really. Jeez. Thumbs up to them. Indeed, I hadn’t heard of this one either. Though, I would say that some people do get deceived, just that they are deceiving THEMSELVES by thinking that they will be able to buy something and save money at the same time. Just like day trading, I imagine the bidding blunders you make on Swoopo will cancel out any fantastic gains or bargains you make. Assuming that they aren’t manipulating the bidding (making house bids early on to avoid a 20 second lapse) this might be legal. There are a lot of things in life that are bad deals without being illegal. The gist seems to be whether or not a per-bid auction fee is legal. If it is (and it probably is) I’m not sure if anything else would push it into the illegal realm. I’m not a legal expert, though. I wonder if anything like this has ever happened in any other field of human endeavor. Wow, what a novel idea. I’d equate it closer to entering a raffle. You spend $0.75 for a chance to win something worth $400. But the odds seem pretty poor, you’d be better off playing the lottery. When a product is won for less than retail value, so lets say a camera goes for $145 when it retails for say $500. Do they get to write off a $355 loss, all the while taking in the money from bids? @Zach: the big number is the MSRP. No one pays that, even retail. But you might be right if it’s sold for less than they paid. But they might not even own the product – they may have done a deal w/ the manufacturers for promotional items. I’m off to Swoopo to see how it works. Since the item on Woot! was of no interest today. I’ll tweet about it. @ Zach – their bottom line would still show a profit. They would have a loss on the sale, but would have bid revenue that would wipe out that loss. Count me among those who wish they would have thought of it first. I agree with your assessment – it’s not a scam, but it certainly isn’t a good deal for consumers. It’s definitely not a scam, but it is a lottery, which makes it a bad deal. Just like any other lottery, loads of people put in a small amount, and a few of them walk away with a profit, possibly even an amazing profit. And the house always wins. But if you’ve ever bought a lottery ticket in the hopes of being amongst the lucky few, then it’s pretty hard to call this play on it a scam. Users can apply the TOTAL costs of their previous bids towards the purchase of an item, which means that, if you have spent 100 bids and the auction is still running, you are able to purchase the item for its announced price (which is usually much above the market price) less the costs of your bids spent so far (50 €; 100 bids x 0,50 € per bid). Just take a look at both the German website http://www.swoopo.de and the US website http://www.swoopo.com and you will see that all users bid on the same auctions. Well, this fact is not really new … but if you take into account that Swoopo shows the “buy it now” feature (blue shopping cart item) to its German and Austrian users only, the racing conditions are pretty unfair. While Germans and Austrians cannot lose anymore (as long as they are willing to pay the price announced by Swoopo), US users and users from all the other countries are taken for a ride. They simply don’t know that this feature is exclusive to Germans and Austrians, and, moreover, they don’t know that they practically cannot win anymore. Swoopo pretends them real bargains but conceals that lots of German and Austrian users will have activated their bid butlers loaded with tons of bids – they practically have an infinite amount of “freebids”. Don’t you think that this is a REALLY EVIL SCAM??? In my opinion, all users from other Swoopo countries except Germany and Austria should immediately stop bidding, as Swoopo takes them for a ride. Add me to the list of people who wish they thought of this first. It sounds ALMOST like it could be a good thing for the bidders, but not quite. (Although, I suppose, if you manage to get the last bid without spending a huge amount making numerous bids to capture it, it could work out for you. Although, how you can consistently win without spending a huge amount of money each time (canceling out your wins), I don’t know.) Thanks for bringing this to my attention, Frank. It is brilliantly evil, isn’t it?